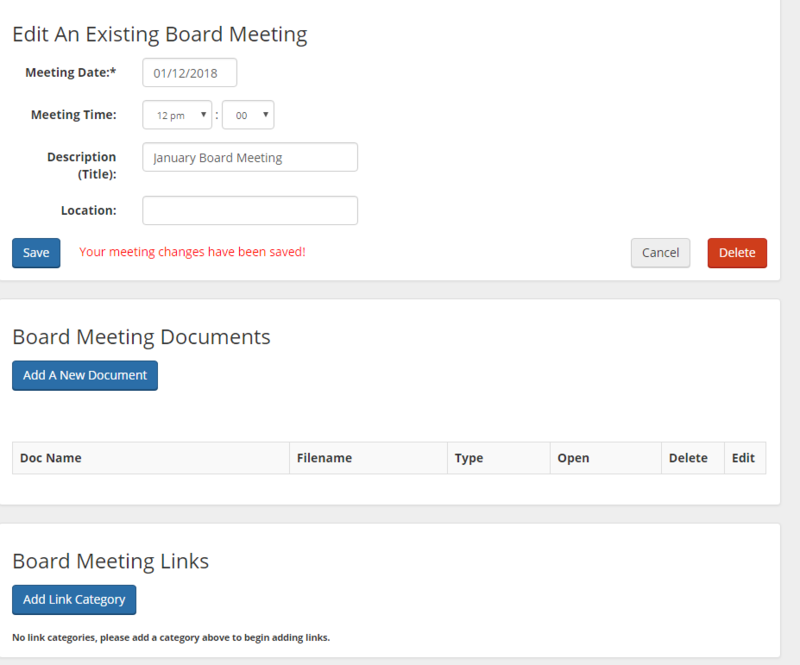 There is now a feature when you create a meeting once you save your meeting you can now add links to that specific meeting. Previously it was just accepting of documents, but now you can create links. The Category does not show with the meeting, only the actual link title. This will show below the meeting like the documents.